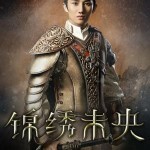 The upcoming period epic, The Princess Weiyoung <錦繡未央>, officially wrapped up filming on March 27. 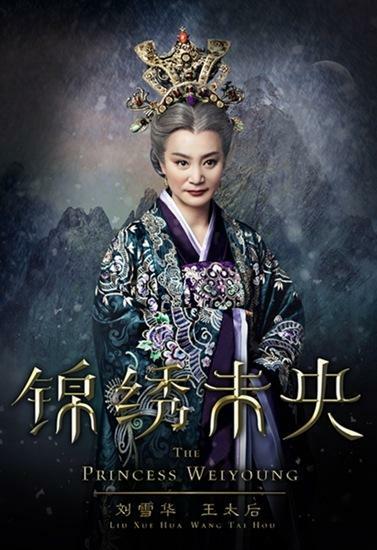 Starring mainland Chinese actress Tiffany Tang (唐嫣) and mainland Chinese actor Luo Jin (羅晉), The Princess Weiyoung is expected to begin airing in fall 2016. Filming for The Princess Weiyoung began in December of last year and was initially intended to be completed in February. However, filming such a grand project proved to be more of a challenge than expected, and the schedule was lengthened for an additional month. 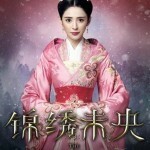 Fortunately, the production company behind The Princess Weiyoung had not set a strict limit for the drama’s budget. Moreover, the cast and crew worked tirelessly and without complaint. Lead actress Tiffany Tang, who was on set from the start of filming until the very end, even had to endure 14-hour-long workdays from time to time. 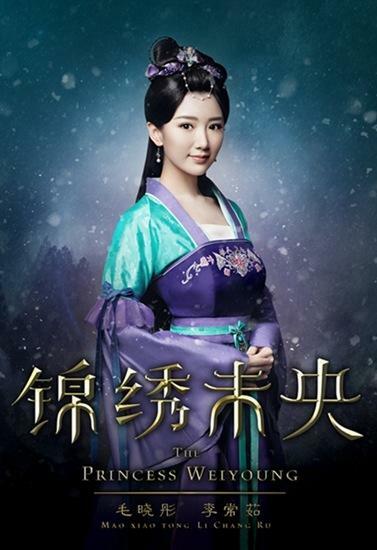 Known for playing kind-hearted and innocent damsels, Tiffany will undergo a transformation for The Princess Weiyoung, in which she plays a two-faced princess set on revenge. On set, Tiffany was frequently seen studying the script, discussing with director Li Huizhu (李慧珠) and her fellow cast members on how to improve a scene, and even practicing scenes during mealtimes. 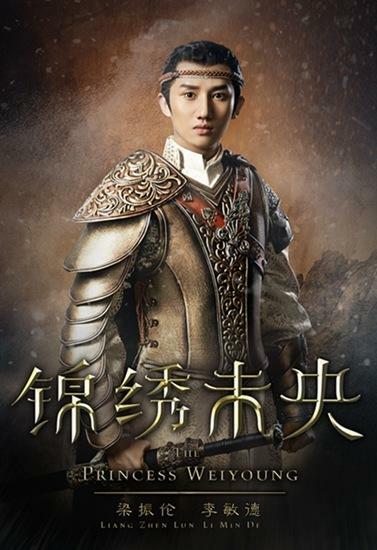 Male lead Luo Jin, who portrays Tuoba Jun, the emperor’s grandson and the main love interest, also imposed strict demands on himself and insisted on foregoing a stunt double for his fight scenes. 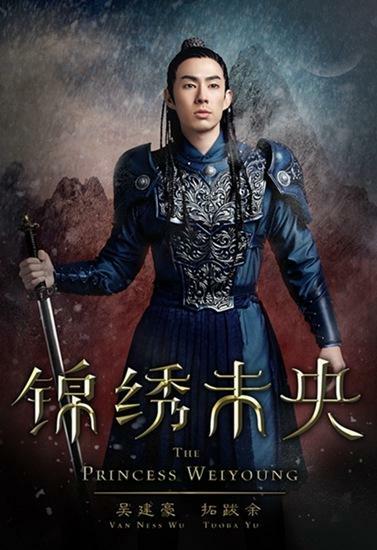 Similarly, Taiwanese-American actor Van Ness Wu (吳建豪), who plays villain Tuoba Yu, would look through ancient texts for inspiration, as well as wake up an hour before his scheduled filming block in order to exercise. 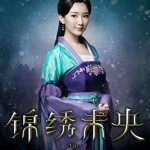 The Princess Weiyoung will mark his first period drama appearance. 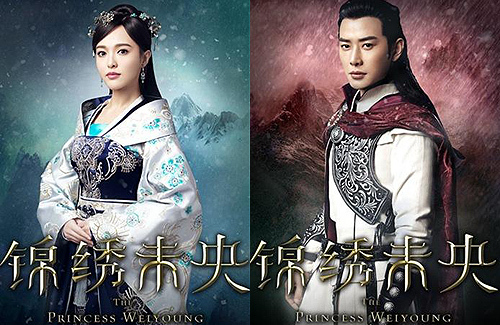 The cast of The Princess Weiyoung also includes Leanne Lau (劉雪華), Taiwanese actress Lily Tien (田麗), mainland Chinese actresses Rachel Mao (毛曉彤) and Hsin Ai Lee (李心艾), and mainland Chinese actor Liang Zhenlun (梁振倫). 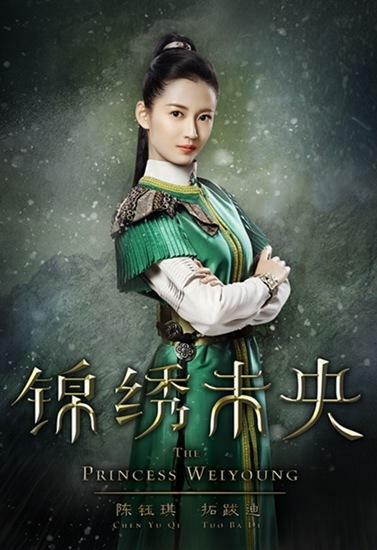 The Princess Weiyoung tells the story of a Northern Liang princess named Xi’er, who witnesses the ruin of her country and, vowing to exact revenge, takes on the identity of Li Weiyang, the daughter of a high official in an enemy country. 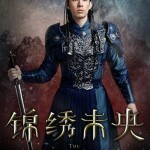 The drama is expected to air in the fall on Dragon TV and Beijing TV, as well as online on Tencent Video. I hope Tiffany Tang will pair up with another leading man beside Lou Jin. I’m tired of watching two of them in the same drama again. Which other series were in together? I suddenly do not remember. But there is more to a series rather than the cast and leading couple. I just wish they had more fresh and new storylines. OH yes, I remember A Beauty in Troubled times. However, I did not watch the others so did not know they paired up that much. @hetieshou Off the subject a little here – in “Diamond Lover” Tiffany Tang & Rain were the main leads. Lou Jin was the 2nd male lead. I heard that they paid Rain five millions US for 40 episodes in that drama. Somehow they extended the drama to 68 episodes – that was why we hardly saw him toward the end of the drama. I agree with you. The writers should come up with more original/creative stories & plots for dramas. Thanks for the info. I heard about that series but did not watch it since there are soooo many series coming out that I do not have the time to watch it all due to my limited time. Therefore, I must be selective in what I watch. Do you Rain Lau the actress or Rain the Korean actor? I guess they are really out of ideas that I see the same old plot lines over and over again. There are many good novels that have not been adapted or remade in a long time so I wonder they do not do those? I remember when I watched series back in the 80s,series were good and did not come out as much since it was mostly ATV, TVB, Taiwan and a few classics from China. Korean series did not really exist yet. The series were few in number but higher in quality. Unlike today where there are many series with a lot lower quality. I miss the good old days. By the way,did you watch the web series “Heroin”? It is a story about gay love but is fresh, touching and unique. It is very very popular and the young actors did a good job. @hetieshou I know what you mean. I’m very selective with my drama choices. I watch only those actors/actresses I like. If I’m going to cry for a drama it’s better worth my time and tears. Some dramas are so terrible that you wonder who were so brave/dumb to invest in them. “Diamond Lover” main male lead was Rain – the Korean’s actor/singer. I know what you mean since my time is limited so I have to be selective with what I watch too. Yes,some dramas are so bad that it was a waste of time for them to make it but having to watch it too. Gosh, what a pain. Oh,so you are referring to rain the Korean singer. I thought you were referring to Rain Lau. You should check Heroin out. It is a web drama that only has one part out and is low budget with all new and unknown actors. However,it is soooo popular that the young leads are all getting popular overnight. But due to the gay love theme it was banned in China so I heard they will film in Taiwan for the rest of the series when they do continue to film the next season. You really should check it out. It is a good series and is very addicting. The story sounds a bit redundant but I guess that is understandable due to the high number of series that constantly come out. By the way, Leanne Liu is from Taiwan not Hong Kong. @hetieshou Leanne Liu is one of those actresses that is hard to classify. She was born in Beijing, but raised in Hong Kong. She has starred in Hong Kong, Taiwanese, and Mainland Chinese dramas. Thanks for the info. I always classified Leanne as Taiwanese since she acted in many Taiwanese series. Yes,she seems like a mixed bag that is hard to identify. @hetieshou i think it depends on their dominant citizenship or nationality. Leanne may have not given up hk citizenship despite working eelsewhere. I think Siqin Gaowa is swiss on the credits. Oh gosh! Is Li Hui Zhu the same director as Lee Wai Chu from the good old ATV days? Hmmm. 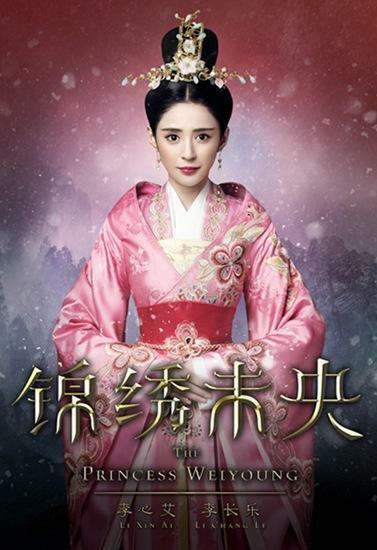 Somehow, after the fantastic experience of watching “Nirvana in Fire”, I am not too attracted by this plot. Seems very similar to other stuff being pushed out. 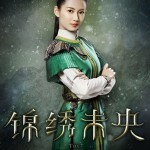 I am still most looking forward to Ruby and Yuan Hong’s series which seems to be taking forever to broadcast. I think she is the same Li Hui Zhu that is often the director for Yu Zheng’s and other big productions and I remember them listing her as being from Hong Kong,so I think she may be the same director. Yes,the plot for this series seems so redundant. Which series is the one of Ruby and Yuan Hong? I have a feeling that may be just as redundant. It is hard to have new and fresh ideas these days due to the high number of series constantly coming out. @hetieshou Hey! I checked on baidu and ues, is they same director. I was referring to “Chang Ge Xing” produced by Ruby that was completed last year. I have been waiting forever to see it released. The trailer looked good. Yes, I had a feeling it was her. I have noticed that many of the HK directors now work for mainland. Ok,if it is a series produced by Ruby I do not have high hopes for it.. I have not seen a single series produced by Ruby that is actually decent or good. Trailers can be deceiving. @hetieshou hmm. I am watching it with an open mind since there isnt much put now that sparks my interest. They are at least entertaining even if not a good series. 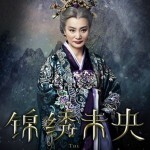 I really liked that telemovie she made with Christopher Lee a few years back. It wasnt great and the storyline has been done before but i liked it anyway. And Christopher did a good job and the open ending is satisfying cconsidering. It was just short and simple. Just out of curiosity, did mainland actors/actresses always have English name or they just recently adopted this culture from Hong Kong? I don’t follow or rarely watch anything produced by mainland so I maybe wrong. However from my memories from old news and magazines this wasn’t very popular among mainland celebrities. I noticed some mainlanders adopting English names around 10 years ago. Nowadays, a high percentage of mainland actors/actresses are doing the same. @msxie0714 yeah back then just some. Most used their real names. @hetieshou I think if they study abroad and to make it easier for foreigners to pronounce their names then understandable. But mainlanders with English name among themselves is a bit weird. Not like other mainlanders can’t pronounce their names. Hong Kong is different because of the history when the British were there, and they also speak English in HK. I’d say it’s a bit like copycat. Chinese in all Asian countries seem to appropriate English names. Many Indians, Japanese, Cambodian and Thai people have long names but unlike Chinese, don’t need to make their names western-friendly. I agree and found it a bit weird when mainlanders started having English names,especially when many of them can’t even speak English properly. I heard that many like to feel westernized and have a strong desire to learn English and get familiarized with western culture so they take an English name in spite of not speaking English very well. Yes, with HK it is understandable because they were a former British colony. Maybe mainlanders are trying to copy and not feel so inferior since I heard that many mainlanders are looked down upon by people from Taiwan, HK, and other places. mainlanders were looked down upon when they were poor and looked down upon because they are rich. They are the whipping boys and scapegoats of Chinese outside China. @hetieshou Yes. I agree that it’s reasonable that HK actors/actresses are using English names, but not the mainlanders. Another thing that really bothers me when Chinese songs have English words in them. They seem to do that more & more. We never hear English songs with Chinese words in them. Sometimes it made me feel that we are not proud of our culture & language. @dramas4me Yes, English songs don’t have chinese words in them, but, they sometimes have French words, Spanish words, German words, Latin words. This is not a lack of pride. It’s just that the lyricist find that line of english the best fit for that line of melody. Even if Hong Kong had been a British Colony,I don’t think they should have the ‘the patent’ to not allow other countries of using English. Many Hong Kong citizens have no knowledge of English for years but have gave themselves an English name. I’ve witnessed myself after befriending people from Hong Kong who came to England on working holiday. If using English names, at least show some respect and follow the tradition properly. Don’t set ridiculous names such as Apple, mango, angelababy and BabyJohn. If you told that to the next English person, they will laugh their heads off. People will be calling themselves banana, tree, CuteTom soon. If other countries shouldn’t be using English names then Hong Kong shouldn’t. If Hong Kong is allowed then all other countries should. English is improving in most countries. I understand why actor/actresses use standout cute but silly names. It get them noticed with the audience and it has worked. Definitely more catchy than just Angela or John. I think the people who think Hong Kong using English is normal and China people using is abnormal are very biased and look down upon China. Oh no, I did not mean to say HK had the patent to have English names only. But what I meant was that it is more understandable for them to have English names due to being a former British colony. I totally agree with you on the names. Some of them are so ridiculous. I used to have a classmate who was from Taiwan named Happy. I just could not believe it. I guess they wanted to be unique but ended up sounding ridiculous. I teach English and many of my students are from China and many of them did not have a English names. However,the ones from Hk, Singapore,Taiwan and other places did have English names. But it is becoming more common among mainlanders, especially the younger generation. India was also colonized by the Brits, but they don’t adopt English names. You’ll never see someone named Beaver Bannerjee, Peter Patel, Rainbow Rasheesh, etc.etc. in India. They seem to have more pride in their identity than Chinese in HK, Taiwan, China and elsewhere. @msxie0714 I don’t think it is a matter of idently issue or lack of pride but more of a convenience to have an English name. I mean for the past 10 to 15 yrs there is a huge boom in China where they are dealing more with people who are not Asian. Having an English name makes it easier to work with people that may have issue remembering or pronouncing their name. For instance when dealing with support people from India for most part they now have an English name or at least give us an English name as it make it easier to rememeber them. At least that is how I feel. For Thai people. They actually shorten their name to make it easier to remember. Japan itself is a pretty close culture so not surprised they don’t have an English name. @hetieshou Personally doesn’t bother me if people from China have English name if they can’t really speak the language. They are trying to adjust to the change going over there. @dramas4me English is a pretty international languge. Its really a language that can be used everywhere and a language that I personally think is easy to learn unlike the Asian language. Also think it is Ok i think to hear in song as long as it works with it. @happybi I think the Japan you referred to is Feudal Japan from the 19th Century. As the result of post-war American occupation, modern Japan is quite open internationally; they had to in order to become a global economic power. But as with the rest of Asia, they do not tend to adopt English names out of cultural pride. For convenience sake, they would rather shorten their names to mono-syllables. For the same reason, most Korean celebs also do not adopt English names either despite the successes of the Hallyu. In Taiwan, I had not come across any Noriko Wong, or Jiro Lee despite half a century of Japanese Colonial Rule. In Indonesia, I did not find any Johann Kimchiwatpah or Heidi pahaisandal despite centuries of Dutch rule. I find only HK celebs (followed by Chinese ones now) tend to adopt English names despite the fact that most do not have good command of the language. Some of the names they adopt are down right ridiculous and hilarious: Fruit Chan, Deep Ng, Coffee Lam, Evergreen Mak, Bosco Wong (oops, actually Italian)..
@aiya see with Japan I feel they are a global country as in exporting their products but as a culture they are still very closed. They are slow in adopting English even though its the most common language that is being used. One can say they really take pride in their culture. With the Chinese I feel they adapt faster. And we all know we are experts in taking something and copying it and than making it better. 😉 as for English name i guess i find it normal as when I got my citizenship in the US I also changed my name to an English name as people always have problem pronouncing it. It was just a major pain. So in Chinese, my name is the same. But in English its an English name. So don’t really think it is a bit deal. Make life easier. @happybi I agree with you that Japan’s deliberate and measured approach toward embracing English both linguistically and culturally has everything to do with cultural pride. But so are everyone else: Koreans, Thai, Indians… In fact, the French (and French Canadians) are even more vocal in their opposition to what they see as the English cultural and linguistic imperialism. However, I disagree with you that HK celebs’ adoption of English names is out out convenience. I think it is more of a status thing. Face it, you think most of them will receive calls from Hollywood any time soon. LOL! As in your personal case, I think it is a totally different situation. You have chosen to immigrate and become a citizen of a culture that is predominantly English speaking so adopting a new name to assimilate is quite natural. @aiya I actually only find Japan to be like this. Koreans/Thais I feel have welcome/adapted other cultures. Not sure about Indians. For HK celebs.. like @jimmyszeto mention.. I find it’s Ok for English name but don’t be silly and call yourself Angelababy or BabyJohn.. those are just ridiculous!!!!! @happybi I am sorry that your experience with the Japanese were as what you described. Personally, I find them to be quite welcoming to different culture in a polite sense but not quite embracing them. But then I am biased as 1/2 of my own bloodline traces back to that island. @aiya oh no I don’t mean they are unwelcome. I actually think they are very nice and polite people. Just that their culture is pretty unique where they take a lot of pride with their language, culture and don’t find it necessary to learn other culture (not sure if I’m explaining it well). As in when I went to Japan before, they really do not have anything in English to help with tourist but I love it there. Everything is so clean (I LOVE THEIR BATHROOMS) and everyone is wicked nice!!! Everyone is also very fashionable. Can’t say the same for HK honestly… clean bathroom is a challenge there if not at nice area and people can be darn right rude! LOL! I hear ya as I had witnessed it myself when my family and I lived there while my dad serving his five year overseas job assignment..
@happybi yeah you’re right about Japan and the Japanese. The country is so clean and people are very polite and welcome foreigners with warm heart BUT they take a lot of pride in their language and culture. I found it funny every time I spoke to them in English they politely answered me in Japanese with a smile like I have a clue lol. Koreans are proud of their language too, they don’t even attempt to speak English either when you ask questions (give you a big “X” sign instead haha), but the only thing different is they are more blunt/rude compare to the Japanese. Back to Hong Kong. Not just with names, I noticed that most places in Hong Kong has both Chinese and English signs too. Of course not everyone in Hong Kong speaks English fluently, but overall maybe “westernized” is just a part of their cultures, and not that Hong Kong people don’t take pride in their own language. I believe they love Cantonese language and proud of it. I really love the uniqueness of Hong Kong. Instead, it’s irony that while the government in mainland China is trying every ways to make Cantonese language goes away in Hong Kong, in entertainment industry, in school etc…but then its people are adopting the western’s language and culture??? How can you do away with your own language (Cantonese) but then turn around proudly adopting others? What does that make China then? Who has lost identity more than who? Who looks like a more ridiculous hypocrite double standard copycat with no pride in its own language? @kaykay408 China have its own issues for sure. It grow too big too fast. Many people who are unculture suddenly becoming millionaires overnight. They are not ready to be that rich. Honestly reading about them behaving badly in other country/airport is pretty sad… But then at the end of the day, we are all Chinese… just need to learn to get along. Or at least try harder. I wonder if that is why many look down on mainlanders. I have heard so many stories about them being rude and getting rich too fast that they think they are all that. Due to the one child policy, many kids are too spoiled and act like brats. I have encountered a number of people like that but luckily they are ok to me for the most part. The difference is that in China, uneducated individuals can get mega rich overnight, This rarely happens in the more developed countries. Uneducated people will obviously lack the manners and will act rashly especially with the money they have at their disposal. Kids usually get all they want from their parents and do not have to carry out chores because of the single child system;therefore will grow up lacking the basic polite communication skills and ability to carry out daily tasks. @hetieshou yes i think the 1 child policy in china did caused some of the bad behaviour. But mostly its becsuse they got too rich too fast. Just this morning read that a girl from China climbed up a cherry blosson tree at Japan to take a photo. Not good….guess they didn’t know there is a zoom option on their camera or phone! Just pretty embrassing. Wow, you have been to many places and thanks for sharing your experiences. Japanese people are very polite and do take a lot of pride in their culture. Koreans definitely take a lot of pride in their culture. I have not heard about them being rude but heard that they tend to rip you off. My 13 year old nephew went to China, HK and South Korea and said that he loved South Korea the most because the people were nicest. I guess it just depends on each individual’s own experience. My sister in law and nephews just came back from HK and loved it there. But then again my sister in law is from there and has family there, so maybe her experience is different from foreigners?